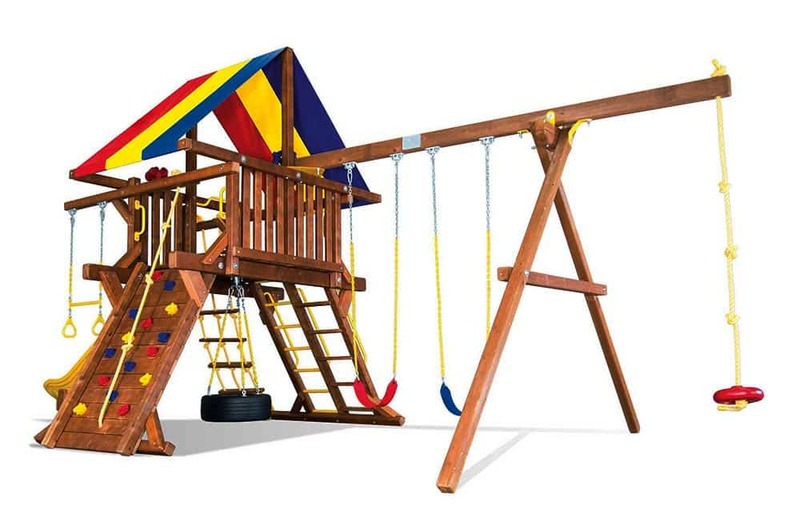 The Rainbow Play Systems brightly colored canopy shines in any backyard. 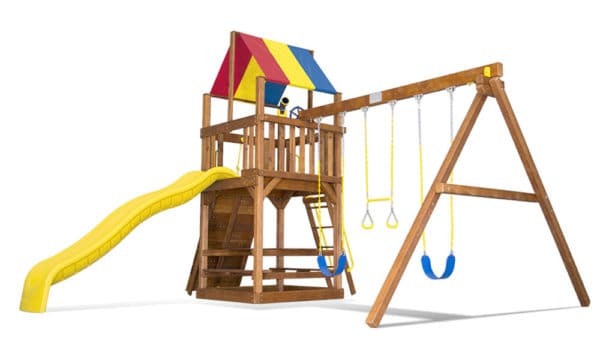 The Sunshine Turbo Feature Castle Pkg II is designed to be adjustable when constructing to sit nicely is your backyard. Whatever you dream, we can build it! 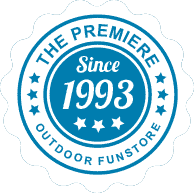 Rainbow has the largest selection in America! 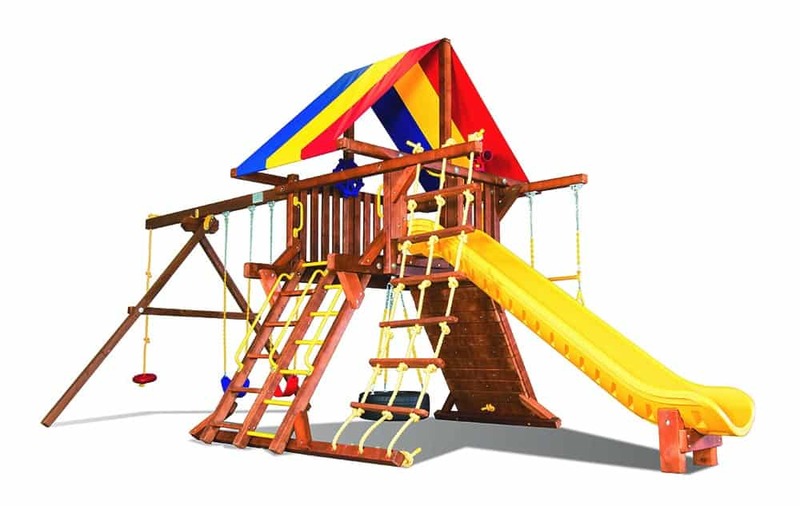 Rainbow Play Systems has been America’s Favorite Brand for over 30 years. 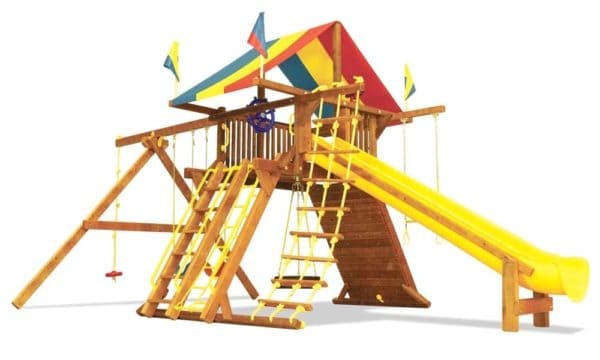 QUALITY and SAFETY are of utmost importance when constructing your dream swing set. 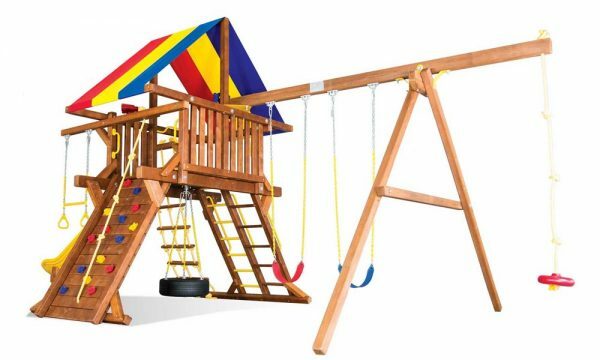 Every inch of our 100% Cedar Swing Sets are sanded down meaning no chipped wood or splinters! No steel material is used and the corners are rounded are connected with countersunk bolts for extra safety. 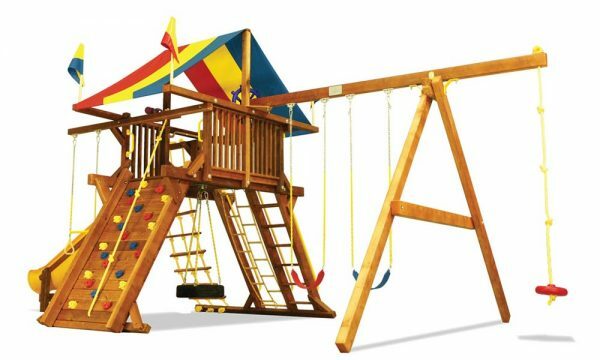 Every Rainbow Swing Set comes with a Lifetime Warranty and with 150 customizable options you’re certain to build the perfect adventure.